The reign of California-based horses atop the National Thoroughbred Racing Association (NTRA) Top 3-Year-Old Poll continues this week in a new set of hands with Fox Hill Farms' Omaha Beach taking over the No. 1 position from Roadster in the wake of the former's triumph in last Saturday's Grade 1 Arkansas Derby. 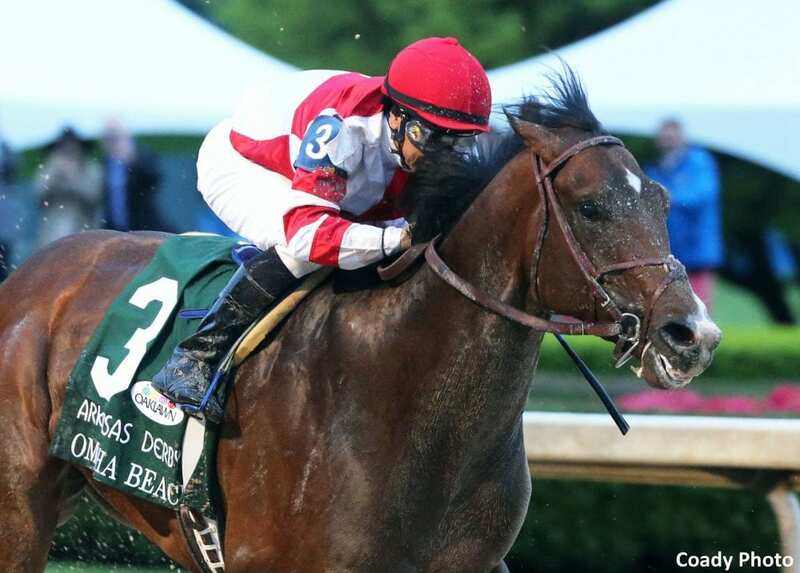 This week's NTRA Top Thoroughbred Poll saw Grade 1 winner Bricks and Mortar hold onto the lead spot for a second straight week with 11 first-place votes and 341 points. Santa Anita Handicap winner Gift Box (6 first-place votes, 323 points) also held steady in second with the biggest mover being Midnight Bisou (2 first-place votes, 261 points), who improved from seventh to third on the strength of her narrow victory in the Grade 1 Apple Blossom Handicap this past Sunday. This entry was posted in Triple Crown and tagged arkansas derby, fox hill farms, game winner, improbable, kentucky derby, maximum security, National Thoroughbred Racing Association, NTRA, ntra top 3-year-old poll, omaha beach, richard mandella, roadster, tacitus, vekoma by NTRA. Bookmark the permalink.